Demobilization, Disarmament and Reintegration (DDR) programs play a central role in intrastate peace agreements. Yet DDR is often asymmetrical. 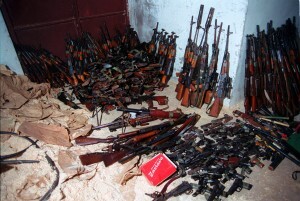 Non-state actors are required to give up their weapons. The weapons of state parties, in turn, are mostly left out of these peace negotiations. Monica Herz and Victória Santos analyze in a recent article how we can understand the emergence of this situation, and what is missed by this silence regarding state weapons in peace processes? We argue that a crucial part of this trend is connected to the separation between two “associations of experts” that are devoted to different dimensions of the place of weapons in the production of insecurity. On one side, there has been a historical emergence of a transnational association of actors who are dedicated to Arms Control and Disarmament (ACD) practices, including a number of intergovernmental agencies, government officials, researchers and, increasingly, humanitarian workers. These actors have sought to generate a series of limitations regarding the production, use and trade of a variety of weapons–limitations which have often been translated as obligations for states, as seen in transparency mechanisms. On the other hand, in the context of peacebuilding and intrastate peace processes, a separate association of experts, who have focused on how the weapons of non-state armed actors are to be handled–that is, through DDR programs and, at times, through demining activities–has been formed. The production of international standards and the circulation of lessons and manuals regarding the treatment of (non-state) weapons in peace processes participate in the socialization of this second group. The boundaries of these two associations are fluid and in continuous transformation, but the interactions that take place within each of these two groups favor the sharing of frames of references for the understanding of the relationships between weapons and violence. While both associations tackle the centrality of weapons for the production of peace and security, their separation reinforces a crucial silence in the context of intrastate peace processes. As only the weapons of non-state actors are understood as political matters for negotiation, the place of state weapons in the constitution of a peaceful political community is neglected. While the weapons of non-state actors are understood as the “problem” to be overcome through a peace process and through subsequent DDR programs, state weapons are continuously constructed as part of the “solution” to violence. In other words, peace processes, as moments when the reconstitution of the political community is at stake, are leaving out of the table of negotiation a crucial factor: a broader discussion on the legitimate place of means of violence owned and deployed not only by non-state actors, but also by state forces. This process is reinforced through the circulation of DDR expertise across intrastate peace processes and through the associated standardization movements, which lead to the crystallization of a model of arms control in which state militarism is necessarily left untouched. As recently seen in the case of the Colombian peace process with the FARC, while the weapons of non-state actors are collected, melted and turned into monuments that symbolize a violent “past,” military expenditures of states often continue to rise in post-conflict contexts and are built as part of a peaceful “future,” with no place for a politicization of such processes of militarization. 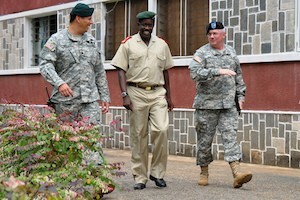 As the treatment of weapons and violence in peace processes is limited to the technical implementation of DDR packages, through the routinization of activities that are presented as “lessons learned,” other possibilities–such as the promotion of transparency and downsizing of states’ military expenditures, or pressures for their compliance with international arms control mechanisms–are left out of political negotiations. In order to overcome this trend of depoliticization of state weapons in the context of intrastate peace processes, we suggest that an approximation between the knowledge produced by arms control and disarmament (ACD) experts and by peacebuilding experts could provide a valuable contribution. While certain ACD practices end up reinforcing forms of state militarism, we argue that these mechanisms have the important potential of holding states accountable for their use and trade of weapons. As peace processes represent an important moment in which the constitution of a political community is brought to the table, the knowledge of ACD practitioners could help overcoming the silence on state militarism that so frequently marks these negotiations. In other words, instead of peace agreements that merely seek to reinstate the rule on the monopoly of violence by the state, we could have intrastate peace processes in which the place of weapons and violence is brought to the center of how political communities are to be built. Monica Herz is an associate professor at the Institute of International Relations of the Pontifical Catholic University of Rio de Janeiro (IRI/PUC-Rio). Victória Santos is a PhD student at IRI/PUC-Rio. They are the authors of The disconnect between arms control and DDR in peace processes, Contemporary Security Policy. Advance online publication. Democratic peace theory has been extensively tested in cases of interstate war. It is important that we use these insights as well to better understand intervention in civil wars. Our research shows that it matters whether the regime fighting against rebels is a democracy or autocracy. Democratic regimes are often seen as tolerant: they solve their domestic disputes by peaceful means, they keep civil liberties and political rights, such as freedom of speech or the equal right to participate in fair and open elections. Autocratic regimes, on the other hand, are far less tolerant, more suppressive, and generally more violent in their domestic politics. And if the international reflects the national, it only makes sense that we will see more violence coming from authoritarian, than democratic, countries. The ‘democratic peace theory’ turns this intuition into an academic pursuit, its most renown (dyadic) version: democracies do not fight each other. But even if true, and quite a few dispute it, why is it so? Explanations have roughly diverged into two branches: structural-electoral causes and normative, liberal, ones. The structural rationale suggests, for example, that electoral considerations of the leaders make them more cautious about waging war because the domestic cost might be high: voters may well vote against them in the next elections. Therefore, when both leaders come from democratic political systems the probability of war is lower. The normative rationale suggests, on the other hand, that democratic leaders are socialized into a peaceful resolution of domestic conflicts, and externalize this liberal behavior to international politics. Therefore, when they face other democratic leader they trust each other to favor peace over violence. Scholars have extensively tested both arguments. The large majority of the literature about the democratic peace theory have focused on militarized interstate disputes, say between France and Germany. Yet, the above claims have far more applications. For example, they can be applied to covert actions by democracies. One application, which we tested in this study, is that governments consider regime type when weighing intervention in civil wars. The liberal hostility towards autocracies should drive democracies to avoid supporting embattled autocracies, perhaps even to support rebellions against them. Cases in point are the U.S. decisions to withdraw its support from the oppressive Iranian Shah and Nicaragua’s Somoza as well as the USA aiding rebels against the regime of Assad. On the other hand, democracies have occasionally also helped bring autocrats to power and keep them there. Cases in point are the France’s assistance to the Algerian regime, Israel’s backing of the Hashemite Kingdom of Jordan (against Palestinian Liberation Organization rebels), U.S. support for various embattled dictators in developing countries (e.g. Indonesia’s Suharto throughout the anti-communist purge). From a liberal normative perspective democratic government would be held as legitimate, being fairly elected by its constituency, while a violent organization which fight it would be seen as defying the liberal norms, its violent conduct deem illegitimate. Conversely, a non-democratic regime would not enjoy this liberal legitimacy—in the eye of democracies—and its rival might be seen as more legitimate despite its violent acts. Indeed, autocratic leaders are seen as being in a permanent state of aggression against their own people. Thus, the more an embattled regime is seen by the potential intervening democracy as adhering to appropriate norms, the more likely is intervention on its behalf, against the rebellious organization. Compared to the normative account, the structural account seems less pertinent. If democratic leaders avoid sending troops to fight for a foreign government, they can minimize potential audience cost. Moreover, since supporting a foreign embattled regime is often veiled the democratic leader need not navigate the formal/official systems of checks and balances, or face as fierce an organized opposition or open public debate. Nonetheless, if the foreign intervention receives wide media cover, it may become a subject of public debate, an electoral factor particularly relevant for decision makers in democracies. Also, the more democratic the regime, the greater the likelihood that the opposition will be able to mobilize protest and exact a higher political price from the government for supporting a non-democratic government. Moreover, when a military intervention abroad is overt, it increases the number of institutions that must approve the decision. We may thus hypothesize that democratic leaders considering support for non-democratic governments in their intrastate wars would take into account the negative institutional and public opinion implications, and be less inclined to lend a hand to such embattled non-democratic regimes. In the statistical analysis we conducted we found that autocracies almost never support democratic governments in intrastate wars. 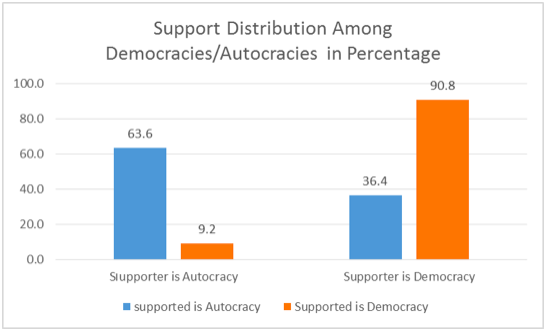 The results also support the prediction that democracies support embattled autocratic regimes much less than autocracies do (see figure). Put differently, the more democratic two states are, the higher the probability one would support the embattled other. In conclusion, these findings allow us to better understand democratic foreign policy and expand democratic peace theory empirical validity to more indirect and sometimes subtler forms of conduct. Democracies behave differently towards governments that face intrastate war, partly based on their regime type, and they are inclined to support governments, which are more democratic. 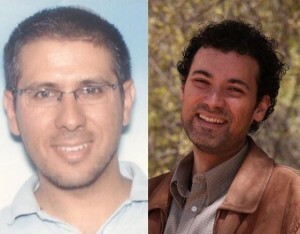 Ogen S. Goldman is a Lecturer at Ashkelon Academic College. Uriel Abulof is a Senior Lecturer of Politics at Tel Aviv University and an LISD research fellow at Princeton University. They are the authors of “Democracy for the rescue—of dictators? The role of regime type in civil war interventions”, Contemporary Security Policy, 37, 341–368. It is available here.